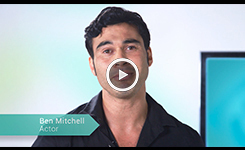 Hear directly from our educators and learners how Pathways Awarua has worked for them. Ben Mitchell (better known as TK from Shortland Street) introduces learners to Pathways Awarua and encourages them to register and get going on improving their reading, writing and maths skills. Gill is the project leader for Pathways Awarua. 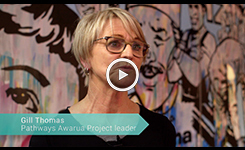 In this video, she explains the aims and purpose of Pathways Awarua and how it can be effectively used within education and training programmes. 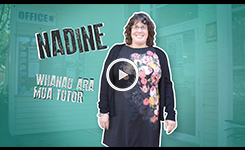 Nadine has been using Pathways Awarua with her students in a Whanau Ara Mua programme for the past three years. Her students like the way Pathways Awarua is self-paced, uses real-life activities and has certificates that reward effort. 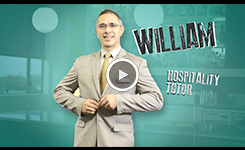 William is a hospitality tutor who uses Pathways Awarua to help his students with their numeracy and literacy skills. He has noticed great improvements in the skills of students who use Pathways Awarua in his 20-week programme. Casey is a great advocate for Pathways Awarua. She talks about how much her reading and maths has improved and how she uses the ideas to help her daughter. 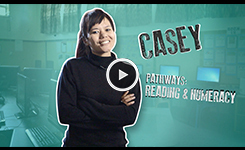 Casey uses Pathways Awarua in class, at home and while she’s waiting for the bus! 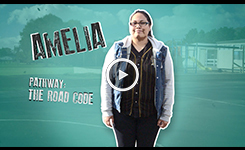 Amelia has earned over 12,000 points on Pathways Awarua and thinks it’s "cool". She used to dislike reading but now describes it as a hobby and is aiming to be an early childhood teacher. She is using the road code modules to help get ready for her restricted driver licence. Tiare is studying hospitality and wants to work on a cruise ship or in a luxury hotel. He uses Pathways Awarua everyday and says that he was “hooked” on it from the start. He left school not liking maths but finds it fun on Pathways Awarua. 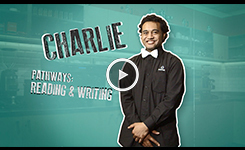 Charlie is studying hospitality to become a barista or bartender. He talks about the challenges he faced at school because of his poor literacy skills. He thanks Pathways Awarua for improving his reading and writing and is aiming to do all the modules "to perfection".